A regional daily’s annual ball has raised £25,000 for charity thanks to the efforts of more than 300 guests. 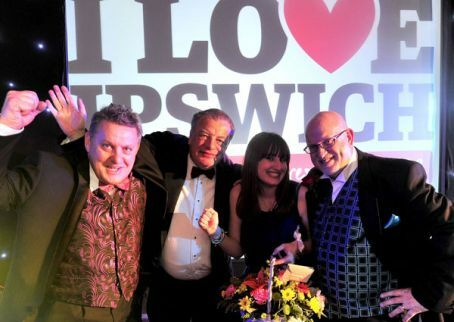 The Ipswich Star had set a target of £20,000 for its 16th annual Press Ball but this target was smashed, with the money raised through a live auction and a silent auction which ran throughout the night. Popular R&B singer Lemar sang at the ball with money raised from the event going to the East Anglian Air Ambulance, the Cystic Fibrosis Trust, and Ormiston Children and Families Trust. Before the event at Trinity Park, the Archant Suffolk title launched its Lifesaver Appeal, which aims to raise £10,000 for the air ambulance service to buy new equipment when the charity introduces a new 24-hour service later this year. Star editor Nigel Pickover said: “It was a fantastic night. Everyone had a great time and raised thousands of pounds for worthwhile causes. The ball was sponsored by Heart FM, Call Connection Ltd, Deben Transport, UK Power Networks and Riley and Riley and raised more money for worthy causes each year.